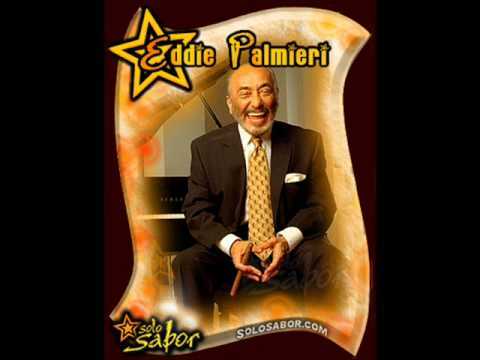 Eddie Palmieri, known for his charismatic power and bold innovative drive, has a musical career that spans over 50 years as a bandleader of Salsa and Latin Jazz orchestras. With a discography that includes 36 titles, Mr. Palmieri has been awarded Nine Grammy Awards. He received his first Grammy Award in 1975 for his release The Sun of Latin Music, which is often considered the most historic, as it was the first time Latin Music was recognized by the National Academy of Recording Arts & Sciences (NARAS). He would win again the following year for Unfinished Masterpiece, Palo Pa ' Rumba in 1984, Solito in 1985 and La Verdad in 1987. He received a Latin Grammy and a traditional Grammy for his 2000 release with Tito Puente entitled ObraMaestra/Masterpiece, Listen Here! in 2006 and Simpatico in 2007, a collaborative effort with trumpet master Brian Lynch, for Best Latin Jazz Album. Simpatico was also recognized by the Jazz Journalist Association as Best Latin Jazz Album that same year. In 1993 Mr. Palmieri was appointed to the board of governors of the New York chapter of the National Academy of Recording Arts and Sciences where he was instrumental in creating a new category for Latin Jazz in 1995. His album Palmas was among the nominees in this newly created category, and in 1996 he was nominated once again for his album Arete. In 1988, the Smithsonian Institute recorded two of Palmieri's performances for their catalog of the National Museum of American History in Washington , D.C. , a rare public honor. In 1990, he was invited by Paul Simon to serve as a consultant on his release Rhythm of the Saints. He was awarded the Eubie Blake Award by Dr. Billy Taylor in 1991 and is among the very few Latin musicians recognized by both the Legislative Assembly of Puerto Rico and New York State. 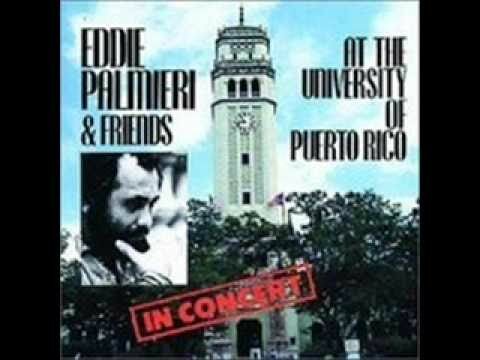 The 1998 Heineken Jazz Festival in San Juan, Puerto Rico paid tribute to his contributions as a bandleader, bestowing him an honorary doctorate degree from the Berklee College of Music. In 2002, Yale University awarded Mr. Palmieri the Chubb Fellowship, an award usually reserved for international heads of state, but given to him in recognition of his work in building communities through music. That same year he received the National Black Sports and Entertainment Lifetime Achievement Award. Other inductees with him were Roberto Clemente, Count Basie, Max Roach, Billie Holiday and Dinah Washington. In 2002, he was recognized by the London BBC, with their Award for Most Exciting Latin Performance. In 2005, Mr. Palmieri received a series of prestigious awards: he received the Alice Tully African Heritage Award from City College, received the Harlem Renaissance Award and was inducted into both the Bronx Walk of Fame and the Chicago Walk of Fame. He also received the Lifetime Achievement Award from Urban Latino Magazine. He acted as Godfather of the Puerto Rican Day Parade in New York City and received the EL Award from El Diario Newspaper. Yet another outstanding achievement that year was the debut of "Caliente," a radio show hosted by Mr. Palmieri on National Public Radio, making him the first Latino ever to do so. The show has been a tremendous success, being picked up by more than 160 radio stations nationwide. 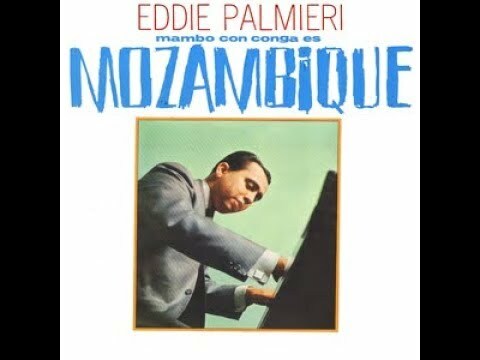 Born in Spanish Harlem in 1936, Eddie began piano studies at an early age, as did his celebrated older brother, the late Salsa legend and pianist, Charlie Palmieri. For Latin New Yorkers of Eddie's generation, music was a vehicle out of El Barrio. At age 11, he auditioned at Weil Recital Hall, which is next door to Carnegie Hall, a venue as far from the Bronx as he could imagine. Possessed by a desire to play the drums, Palmieri joined his uncle's orchestra at age 13, where he played timbales. 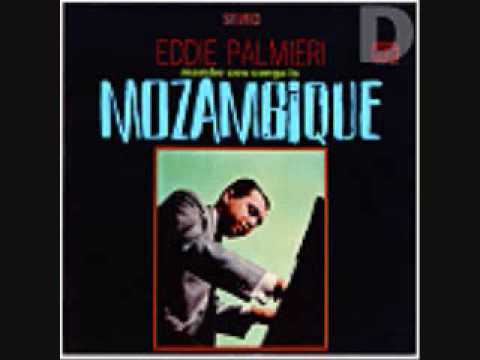 Says Palmieri, "By 15, it was good-bye timbales and back to the piano until this day. I'm a frustrated percussionist, so I take it out on the piano." He began his professional career as a pianist in the early '50s with Eddie Forrester's Orchestra. 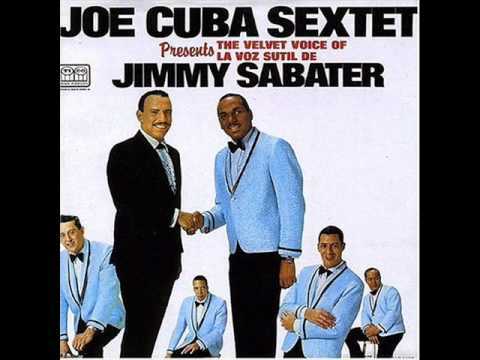 In 1955 he joined Johnny Segui's band. He also spent a year with the Tito Rodriguez Orchestra before forming his own band, the legendary "La Perfecta" in 1961. La Perfecta was unique in that it featured a trombone section (led by the late Barry Rogers) in place of trumpets, something that had been rarely done in Latin music, demonstrating the early stages of Palmieri's unconventional means of orchestration. They were known as "the band with the crazy roaring elephants" because of this configuration of two trombones, flute, percussion, bass and a vocalist. With an infectious sound, Palmieri's band soon joined the ranks of Machito, Tito Rodriguez and other major Latin orchestras of the day. His unconventional style would once again surprise critics and his fans with the 1970 release entitled Harlem River Drive. This recording was the first to really merge black and latin styles (and musicians), resulting in a free-form sound encompassing elements of salsa, funk, soul and jazz. What resulted was a fusion that moved effortlessly from mood, groove, texture and excitement with its multi-dimensional guitar, funky piano riffs, notable brass and unforgettable rhythm section. Led by Eddie, the group also included his brother Charlie, as well as excellent players from both communities such as Victor Venegas, Andy Gonzales, Bernard "Pretty" Purdie and Ronnie Cuber. Further to this proclivity for creating and performing in funk latin style, in 1997 he was invited to record by Little Louie Vega in "Nuyorican Soul," a release which has been a huge hit with dancers and dj's in the house music genre. 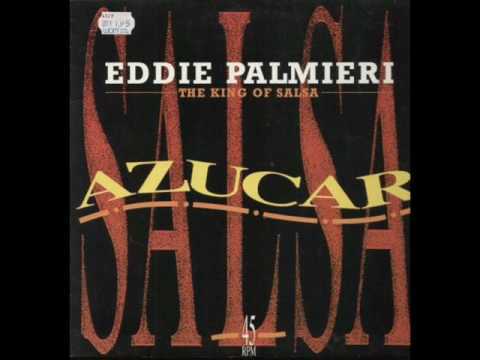 Palmieri's influences include not only his older brother Charlie but also Jesus Lopez, Lili Martinez and other Cuban players of the 1940s; jazz luminaries Art Tatum, Bobby Timmons, Bill Evans, Horace Silver, Bud Powell and McCoy Tyner. Says Palmieri, "In Cuba, there was a development and crystallization of rhythmical patterns that have excited people for years. Cuban music provides the fundamental from which I nevermove. Whatever has to be built must be built from there. It's a cross-cultural effect that makes magnificent music." 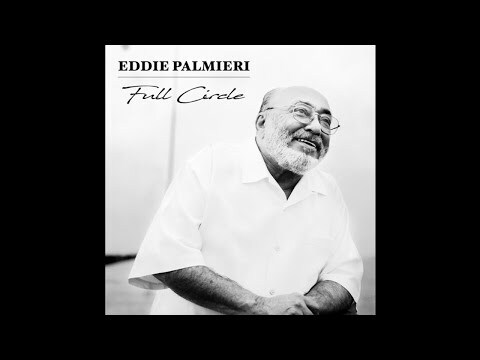 Eddie Palmieri, a restless, yet instinctive artist, embraces the future of his music by unapologetically blazing a distinctive musical path to the delight of fans across the globe. He has one of the most actively touring Salsa and Latin Jazz orchestras to date, tours of which have taken him to Europe, Asia, Latin America, North Africa and throughout the Caribbean. A true powerhouse of brilliance, known for his astute arranging skills and historic compositions, Mr. Palmieri has shown that time is infinite with respect to his repertoire as he continues to thrill audiences throughout the world with his legendary style. Book Edie Palmieri for shows and concerts at Heavy Rotation booking agency. Worldwide Bookings with HR Booking. Edie Palmieri Booking, Book Edie Palmieri. Book artists like Edie Palmieri, Edie Palmieri booking agent, contact Edie Palmieri email, Edie Palmieri manager, Edie Palmieri management for concerts, bookings, biography, pictures, videos. Edie Palmieri may be available for your club shows, private party, festivals or other events.